Not only did I feel like absolute crap but seeing Hayes be so uncomfortable was freaking heartbreaking. BUT we are almost back to feeling ourselves and I can’t thank all of you enough for your prayers and sweet messages!! 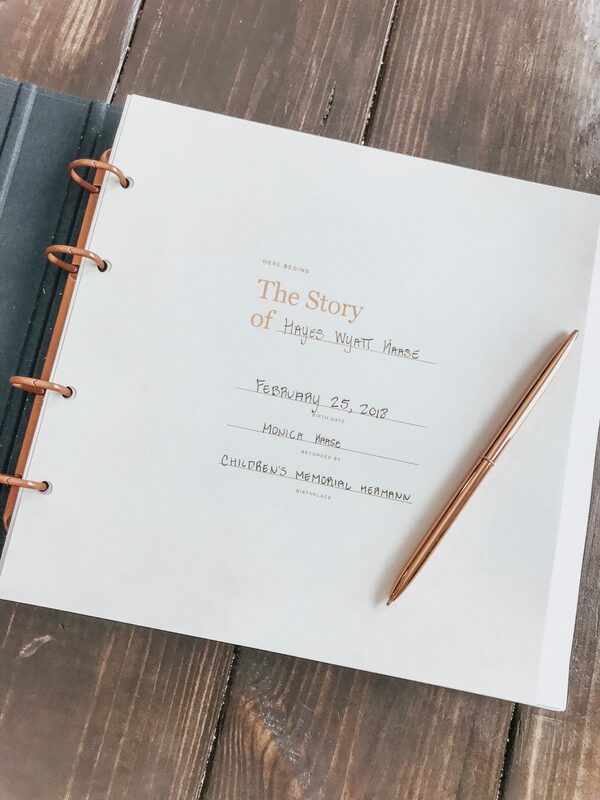 I’m talking all about Hayes’s new baby book today and I’ve got a DISCOUNT CODE for y’all!! Use code “MONICA99” to get this baby book for $99 (originally $120), code is valid through October 12th! I remember before Hayes was born, finding “the perfect” baby book was extremely important to me. 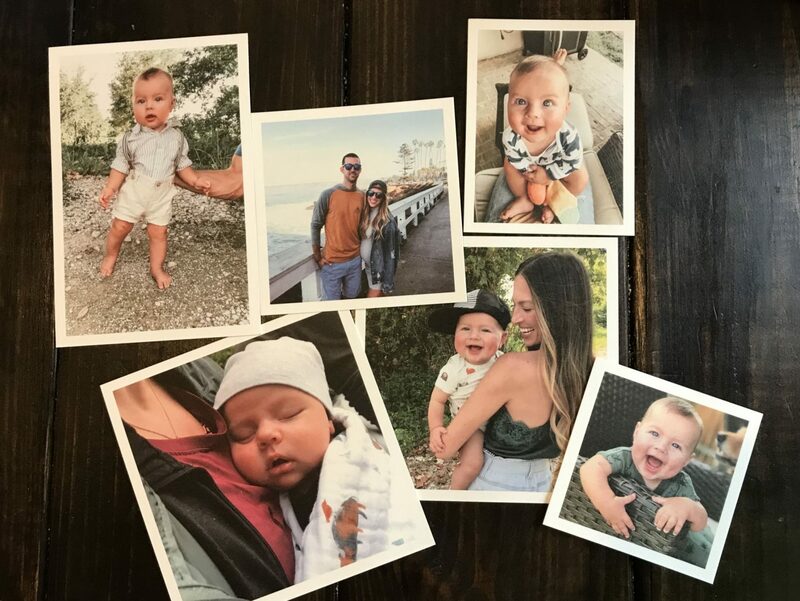 I absolutely love going through my old baby book and old photos anytime I’m back home at my parents house, and I wanted to make sure Hayes’s baby book was something I was proud of, something that he’d love to look through one day, and something that was unique. I purchased a baby book before Hayes was born but for some reason I just wasn’t in love with it like I was hoping to be. When I’d go to fill in the blanks or add photos I kept finding myself stressed or disappointed because it just wasn’t looking how I wanted it too. 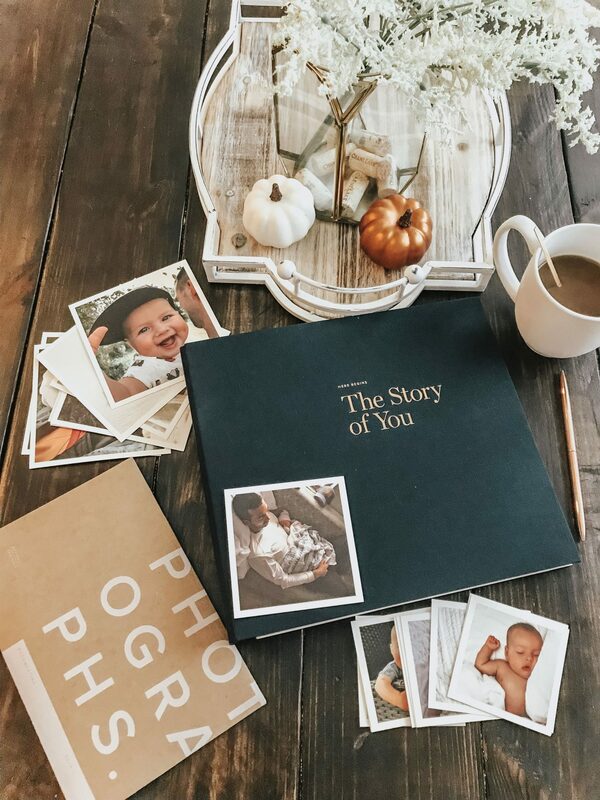 Well, Recently I came across this baby book called “The Story of You” by Artifact Uprising and I pretty much fell in love as soon as I saw the name of it. It was a more modern take on a baby book and the more I researched it the more I knew I NEEDED it. As soon as the book arrived in the mail I was SO excited, it even comes with a rose gold pen and some adhesives for your prints! OH, and the best part?! You can order print sets straight from the Artifact uprising site and they come in a variety of different sizes. You can also choose to have a border (like mine) or no border. I wasn’t aware of this before I ordered my prints but they’re actually not regular prints, they’re this awesome textured card stock paper and the pictures are such good quality!! Kyle was SO impressed when he saw them and loved the uniqueness and quality of the pictures. 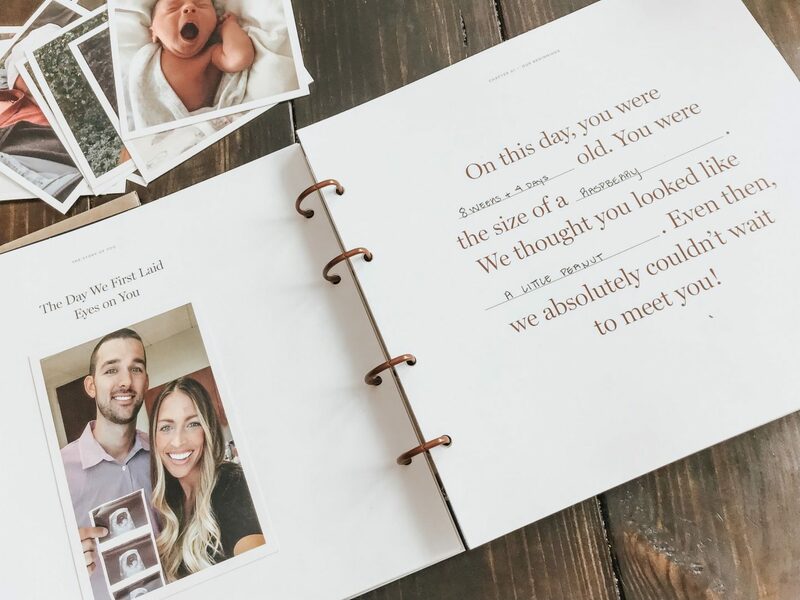 This baby book is typically $120 (worth every penny) but they’re offering all of my followers a special discount code through October 12th and you seriously DO NOT want to miss this deal! I wish I could go through and show you every page BUT I didn’t have time to take that many photos haha BUT I just might hop on instagram stories today and do a little flip through so y’all can see the book in more detail! 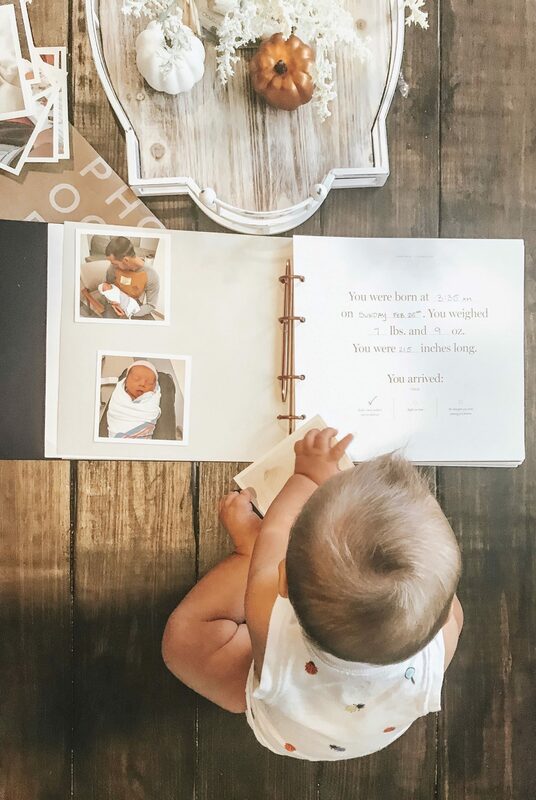 Some of the pages have the sweetest quotes that literally bring tears to my eyes, this book is so incredibly well made and is definitely not your “average baby book”. But it still has all the best things that a baby book should have! Each month has the same three prompts + two unique prompts or questions! I LOVE that this book gives you prompts and it’s not just a list of things you check off. You can write as much or as little as you want and make it as personal and detailed as you want it to be! I can’t wait to fill these pages with the sweetest memories – thank you Artifact Uprising for creating just what this mama had always pictured but couldn’t find. Make sure y’all head over to my Instagram to see a more in depth look at the book! And if you decide to order don’t forget to use my code. Love y’all, hope you have the best weekend ever!! 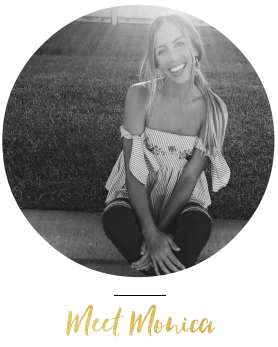 Next Post Cure for your Monday blues – Last day to shop these S A L E S !